Refreshments: Tea, coffee, and bottled water are supplied with my compliments, but please bring a packed lunch for our 45-minute lunch break. For more information or to see if this could be helpful for you, email me here. You can text or call me on 087 2674104. Or just click here to book your place now. 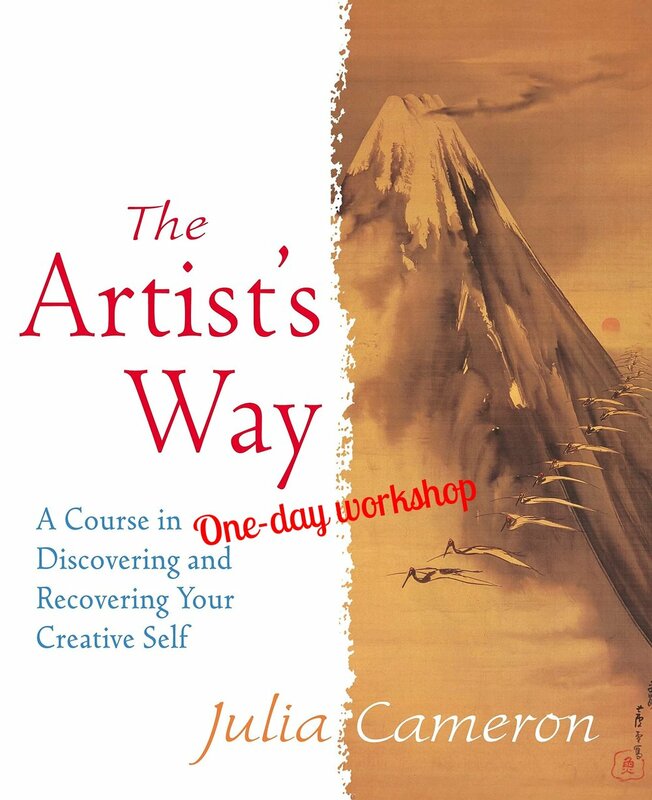 In this one-day workshop, we'll take a first step into Julia Cameron's 'The Artist's Way', the well-loved and long-established program of self-care and recovery. To help you rediscover the painting or knitting or instrument-playing or writing or (insert as needed) creative thing that made you happy in the past. We'll touch on four of the main principles this 12-week program examines, and talk a little about how they appear in real life. We'll use fun and easy crafts to show that even a tiny bit of creativity stretches time, allowing us forget about life for an hour or a day, and maybe even cope with life a bit better. No skills required! Anyone who wants to actively pursue a creative business or career, consider this workshop a safe first step. No need to buy the book (the book is necessary only if you do The Artist's Way 12-week program), but if you have it at home and want to bring it in, feel free. The Artist's Way - An Introduction is an adults-only workshop. Important! Please bring a packed lunch for our 45-minute lunch break. For more information or to see if this could be helpful for you, email me here, or text or call me on 087 2674104. Or just click here to book your place now.